Would you like to know the secrets to becoming an Awakened Millionaire? Would you like to taste the abundant lifestyle that makes all other "lifestyles" seem mediocre? Awakened Millionaires live by a different code. Awakened Millionaires live in the moment... and profit from it. Awakened Millionaires are financial AND spiritual warriors. And if you haven't tasted it for yourself, you have no idea what you're missing. Even I don't have the words to describe the pleasure I get every day from living the lifestyle of the Awakened Millionaire. As soon as you get just a small taste... you'll be hooked. You'll realize there's no better way to live your life and pursue your dreams than by following the code of the Awakened Millionaire. You'll realize that every other pursuit of wealth and success is lacking passion and delicious intensity. You'll feel like you've returned home... to yourself and to the path you were meant to follow. Maybe you already understand the lifestyle I live. Maybe you don't. But here's what you should understand. I live a life that inspires people. It's not because I'm special. You probably know my story of homelessness and struggle... I had to figure this out for myself. But I didn't want to be your average millionaire. I wanted to taste the freedom of wealth ON MY TERMS. I wanted to unite my pursuit of money with my pursuit of meaning. And that means more than just aligning my spiritual self with my material self. It means living a DIFFERENT LIFESTYLE. Many millionaires live luxurious lives. I live an ADVENTUROUS life of my own design... and use my wealth to live IN the moment that I created. Most millionaires make plans. I follow my passion... every day. Most millionaires do what's "smart." I do what feels right. Most millionaires have to "think through" ideas. I follow my instincts and the path that's in front of me. Most millionaires don't experience a spiritual existence. I am GUIDED by my soul to unlock wealth and opportunity where everyone else misses it. Because life is so short... I ALWAYS push myself to "dare something worthy." And the first step is to craft a life YOU design... create wealth YOU desire... in a way YOU love. And what a ride it's going to be! You are going to be floored! You are going to be pumped! You are going to be INSPIRED! YOU ARE GOING TO BE READY TO TAKE ACTION!! And I'm thrilled to be the one to walk you through the threshold to the miraculous and luxurious world of the Awakened Millionaire. But I don't need a huge investment from you. 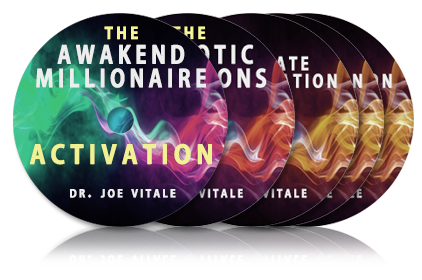 I need you to get this, listen to this, and see why the Awakened Millionaire is the future you've been waiting for. As you'll soon learn... the Intention is one of the key components of the Awakened Millionaire. It's home base for all your awakened earnings. And I'd like to show you how to take "intentions" to a whole new level. 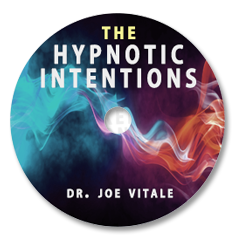 So when you join me today, I'm going to give you a free copy of a very COOL, very TRANSFORMATIVE, very ENLIGHTENING training on the "hypnotic intention"
My good friend, partner, and fellow-adventurer, Dr. Steve G. Jones, master hypnotherapist from an evolved dimension, created a special mental reprogramming session normally reserved for our Elite Wealth Explorer members. 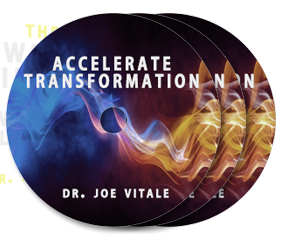 When you use the three advanced mental reprogramming audios, Dr. Steve is basically rewiring your subconscious mind to allow, accept, and aid in creating FASTER transformations in your life. So I've said my peace. Now I think it's time for you to take action, don't you think? Press that green button right below here, and let's get started, shall we? You have a full 365 days to listen to this risk-free. If at any point you're not happy and want your $7 back, I'll give it to you with no questions asked. P.S. What happens if you pass this opportunity? Well, for one, you'll miss information I've never released in my 30 years of teaching wealth and success to good people like yourself. You have an opportunity to join me on the cutting edge... and experience the miraculous lifestyle and success that comes with it. And second, you'll keep living and pushing and struggling like you are now. Ask yourself, are you happy with how your life is going? Are you happy with the success you've had? If you are, maybe you don't need or want this (I still think you're missing out). But if you're not... I think this will transform the way you take your next step... and every step after. Join me. You won't regret it.